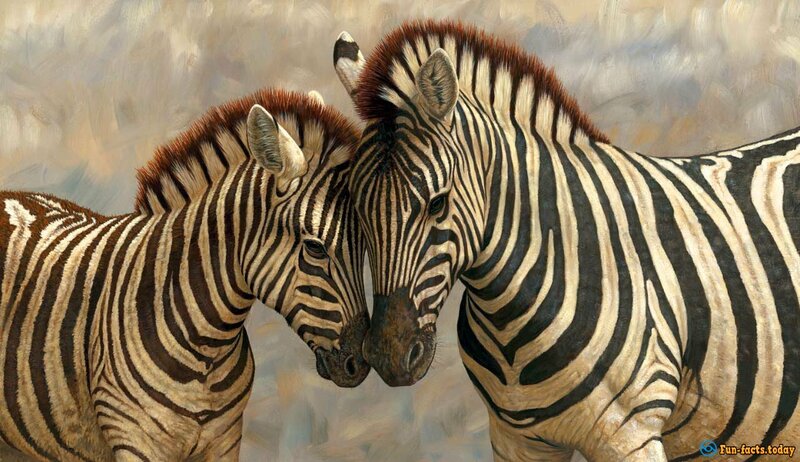 Zebras are ones of the most amazing creatures that live (and prosper) in Africa. Some people mistake them for horses with stripes, but that's not really true. I mean, do you call leopards "tigers with dots"? Now, speaking of stripes and dots, I want y'all to know that today you'll learn the answer to the centuries-old question: do zebras have white fur with black stripes or do they have black fur with white stripes? In addition, I've got tons of amazing facts about zebras for you to enjoy. As always, make sure to make notes - you never know when you might need some real-world knowledge about these creatures! - Alright, let's start with the meat and potatoes: the zebra's fur is mostly covered in...black, with white stripes all over it. This has to do with pigmentation (it's a bit complicated, so, let's not get into that right now; just know that even the best mathematical models haven't been able to correctly simulate the development of the black-white pattern). Furthermore, beneath the fur zebras have a dark, black skin, so, there you have it - zebras are black! So, definitely one of the most amazing facts about zebras. - There are different types (or, rather, species) of zebras, and they all have different stripe patterns. For example, the mountain zebras have horizontal stripes on their legs, while the neck and the torso are covered in vertical stripes. Awesome fact about zebras: every single zebra on planet Earth has a unique pattern of stripes! That's also true for tiger's stripes, our own fingerprints and snowflakes. - Do you know why these creatures run in zigzags? They do that because they're trying to "shake off" the predators that want to eat them! Pretty logical, right? 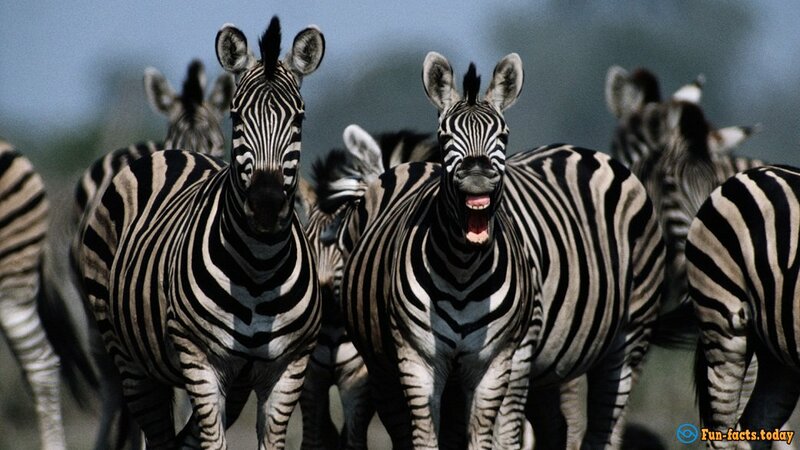 By the way, do you know what a group (a pack) of zebras is called? A "zeal". - Amazing facts about zebras: Romans used zebras to pull their carts for circuses. And they called them "Horse tigers" or "Tiger horses". The Native Americans consider a zebra to be a symbol of balance. 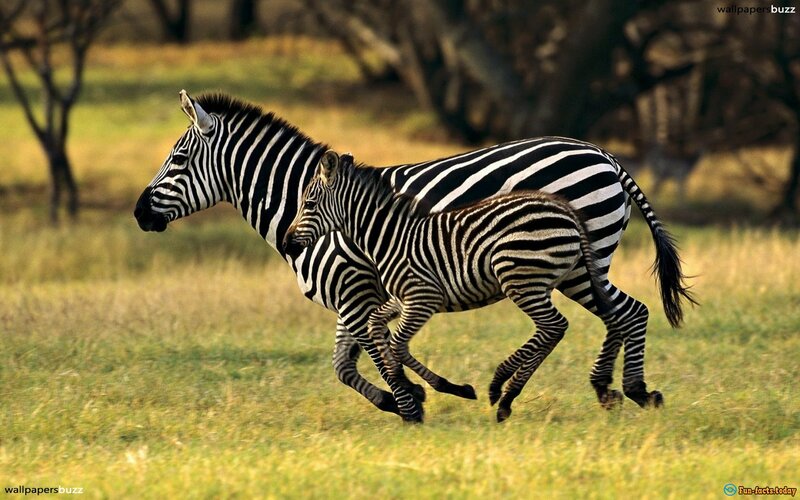 A mother zebra usually keeps her foal (that's the baby) away from the zeal for 2-3 days until it can recognize her voice (!) and scent. - Crazy fact about zebras: when these creatures are faced by predators, they form a hemi-cycle and attack them when they come dangerously close. Furthermore, they also encircle an injured member of the zeal to protect it. That's pretty cool! - Amazing fact about zebras: they tend to "bunch together" whenever a colorblind predator (a lion, for example) comes around to confuse it - the predator sees the white-on-black pattern as grass. The scientists believe that zebras can see in color, which makes them a standout species among mammals (but they can't see the color orange - for some reason). 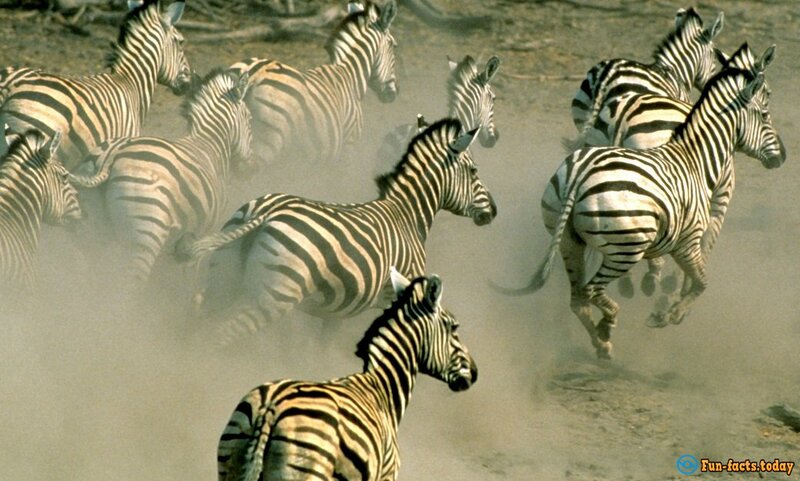 - Zebras can run as fast as 40 miles per hour (that's 65 kilometers per hour). Just like horses, elephants and giraffes, they don't like to lie down when going to sleep - they do that while standing. Finally, despite the gorgeous stripes, zebras are pretty short and are usually 3.5-5 feet tall.